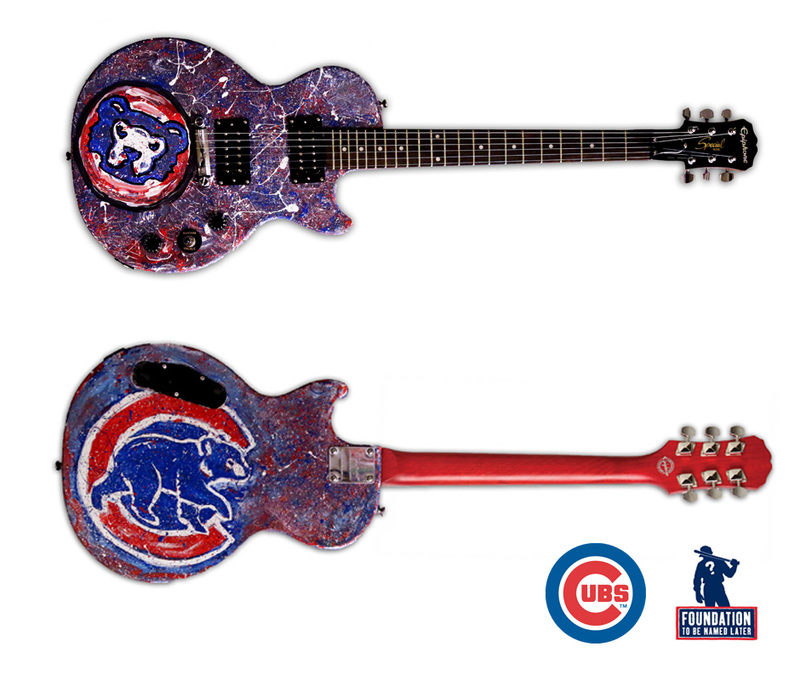 Custom painted Chicago Cubs Epiphone Les Paul Special Guitar. Auctioned at the Chicago Cubs Hot Stove Cool Music Concert featuring Liz Phair and Eddie Vedder at the Metro. Hammered at $24,000 with all proceeds benefitting The Foundation To Be Named Later charity organization.